If you missed the first post in this series, Part 1 (7-11), you should read that as well. This is Part II (4-6). 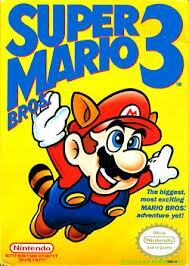 Most underrated NES game? It is in my opinion. Excitebike has three modes: solo race, with computer racers and Design Mode where you get to create your own racetrack, which in 1985 was pretty much unprecedented in video games up until that point. And it was awesome, but it was always just a matter of time until I just started creating back to back ramps to go launching through the whole level. Press as much of the B button as possible without overheating. Never, under any circumstances, run your front wheel into anyone else. Always match the angle of your wheels to the place you’re landing. If you can consistently follow those three pointers, you are guaranteed to have success at Excitebike. The goal was to beat the clock and finish in the top three places. Levels got harder and harder. Not sure I ever actually beat this game. The most fun thing to do in Excitebike was change up the competition to see how many CPU racers you could take out and still finish in the top 3. Whenever you crashed, your bike and rider was thrown to the top of the track into the grassy area. Sometimes you’d land right next to the bike and could immediately hop back on and ride. But sometimes you’d get thrown way up into the grass and have to run back to your bike. As far as I could tell, it was totally arbitrary as to how far you’d get tossed. Super frustrating when you get tossed a long way. This game got me through Couple Skates in elementary school. The Skateland DJ would start playing “A Whole New World” from Aladdin or Mariah Carey’s “Dreamlover”, and he would come over the intercom and announce to grab a partner’s hand for the next 3 minutes. And I would bolt for The Arcade Game. …boom. Ten lives, and select level. And suddenly my quarters became way more valuable. 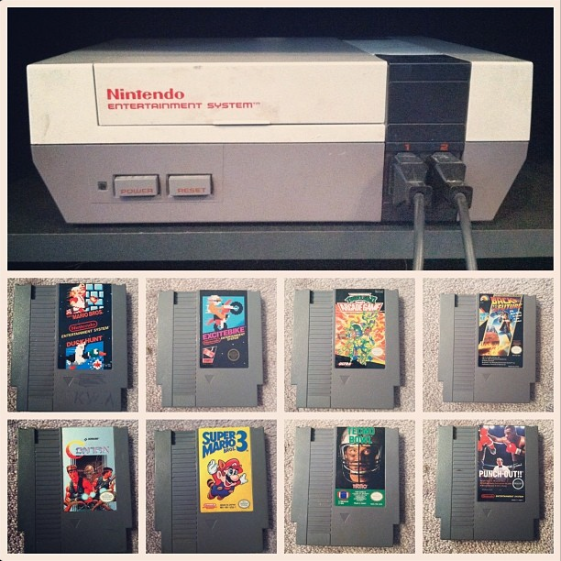 You get to select your player – Michelangelo, Donatello, Raphael or Leonardo. 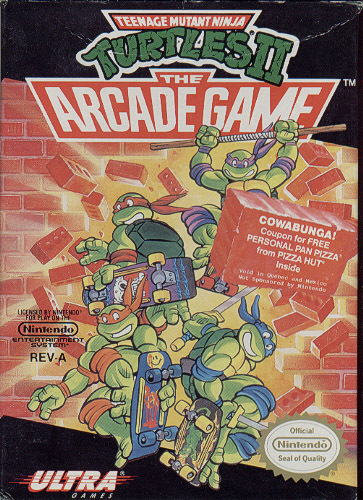 We used to argue about whether Leo and Don were better than Raph and Mike simply because their weapons could reach farther, but I’m pretty sure they’re all the same besides their bandanas. Actually the turtles were actually different colors of green too, but only in the cartoons. In fact, now that I think about it, my favorite turtle is Donatello, and I wonder if you could trace it back to the fact that his bo staff is the longest weapon. The game play was basically this: it’s a side scroller where Foot Soldiers repeatedly come out in pairs to attack you. If they were smart they’d all just come out at once and attack you together, but the Foot Soldiers are clearly stupid. Every level had a different boss. Bebop. Rocksteady. A bunch of second-level Bad guys, and eventually Mr. Krang and Shredder himself. Shredder would split himself up over and over again so you wouldn’t know which one was the “real” Shredder. Super hard. The best part about this game was the clever ways you could attack the Soldiers that were strategically placed along the levels. Tons of creative ways to kill them if you timed it right. A fire hydrant or a speed limit sign turned into allies. And pizza heals you. Obviously. If you’d asked me 30 seconds ago what the “goal” of this game was, I’d have told you it was to save Princess Toadstool. That explains a lot. I always wondered who all those old dudes were at the end of every world. The biggest change in this game: you could fly. But what I never understood is this: How come a leaf is the token you pick up to fly? And then how come it transforms you into a raccoon? Because those don’t fly. There were also whistles that took you to the Warp Zone via a tornado and you picked up those whistles (along with tons of other upgrades) and kept it on your menu bar until you needed to use it. In level 1-3, you would squat down on a white block at the end of the level and it would take you behind the final screen to the first whistles. Then in the first mini-boss castle level, there was a secret place you could fly up to and get your second one. Then just get to World 3, and you could use them back to back to get to World 8: The Dark Land. Again, please promise not to hang me until I’ve finished the list. There are still three left. Wonder which ones they will be?!?! Where did I get it right/wrong? What games are you hoping are in the Top 3? couple skate life-saver. loving the list so far–kinda bummed i missed out on excitebike. Mario 3 needs to be higher! LOL the leaf=raccoon=flying really doesn’t make sense. It’s the same as flower=fire power.